The Lakland Skyline Deluxe 55-02 5-String Bass comes with custom alnico-magnet Lakland pickups: a humbucker at the bridge and a single-coil in the neck. These pickups are teamed with the same 3-band active preamp used in the US-made 55-94 to let you dial in an incredible range of tones. A 3-way toggle for coil splitting increases tonal range. 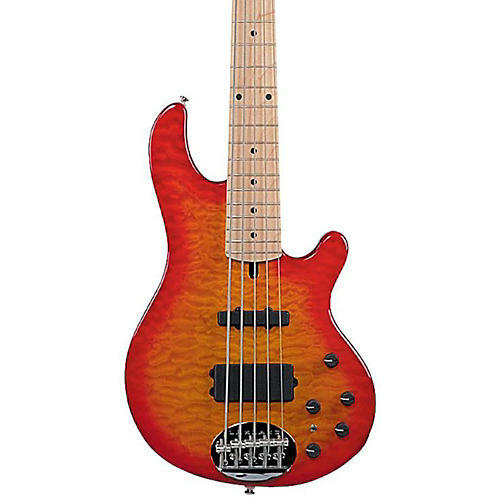 It has that deep Lakland cutaway on the high register side of the maple neck that allows easy access to highest frets for throwing licks on top of your grooves. Ash body with a quilt veneer top and deluxe transparent finish.